The last of a long list of March birthday celebrants; so I couldn't let the month end without a shout-out post to my god-daughter Toni Dominique (her birthday was 8th March). I stalked her on the net looking for photos away from my usual source (weiwitch.com) and was surprised to discover how involved she is with her architectural course at the University of the Philippines in Diliman. 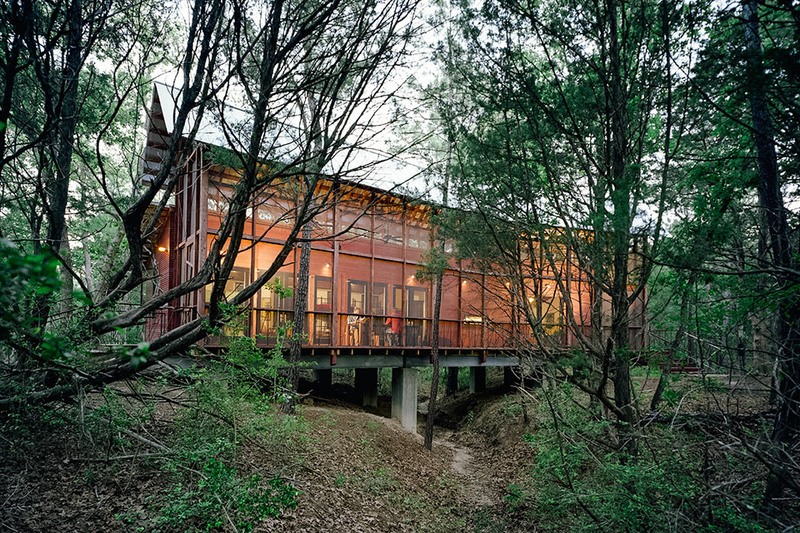 Built as a getaway for a writer/director and his friends and family, this Texas Bunkhouse bends around the trees that dominated its plot, roughly 30 miles from Austin. As the trees dictated the home's shape, so too did they influence its vertically-oriented structure, with the full-length screened porch providing uninhibited views of the surrounding foliage. Inside there are open cots and a kitchen, as well as a single enclosed bedroom, two bathrooms, and an outdoor shower. The building is clad in multi-color stained cedar to blend into the landscape while lending a brick-like randomness, and the house sits on concrete piers above a dry creek bed, just steps from a nearby swimming pool. 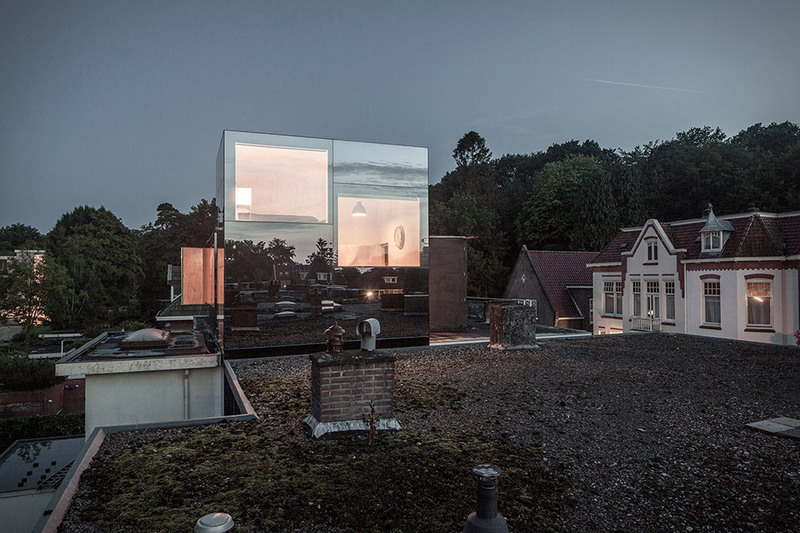 Sitting above the rooftops in The Netherlands, the Mirror Mirror Roof House puts all other tree houses to shame. Like its name implies, the cubed roof extension is clad in a mirrored glass, reflecting the landscape around it and making it almost disappear into the background. The double-height interior is completely sheathed in sheets of natural pinewood, housing an office and a floating steel bedroom. Large openings on every wall not only allow in plenty of sunlight but also provide continuous views of the surround treetops. Not too shabby for a 12-year-old boy. Hovering above a Quebec hillside, the High House uses a foundation of stilts to adapt to its snowy terrain. 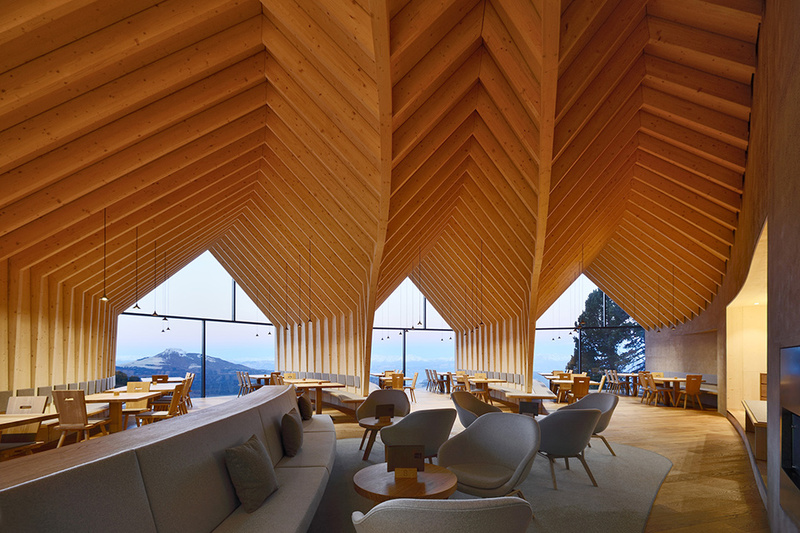 The gabled structure is elevated off the ground to protect the first level from the frigid elements, while also creating a protected outdoor area. Its clean lines are clad in a white concrete paneling and a corrugated steel roof to blend into the winter landscape, but also creates a striking contrast with its green backdrop in the summer months. The raised design also lifts the focus above the surrounding tree line, allowing for views of the Mont Saint Anne from the main living area.